You can disallow search engine indexing for the entire website as well as for some particular website pages. How Do I Hide the Entire Website from Indexing? 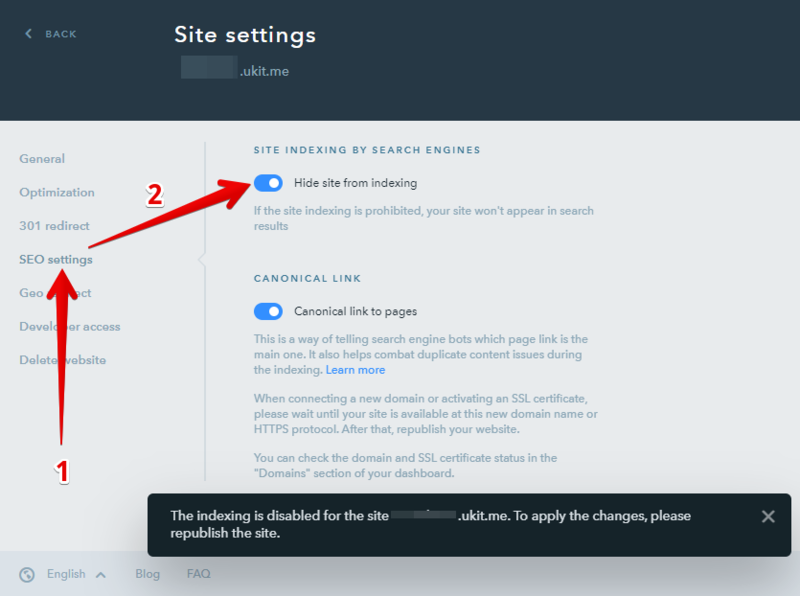 To disallow indexing of your site by search engines, go to the uKit Dashboard, click on Settings > SEO settings and toggle Hide site from indexing. How Do I Cancel Indexing for a Particular Website Page? 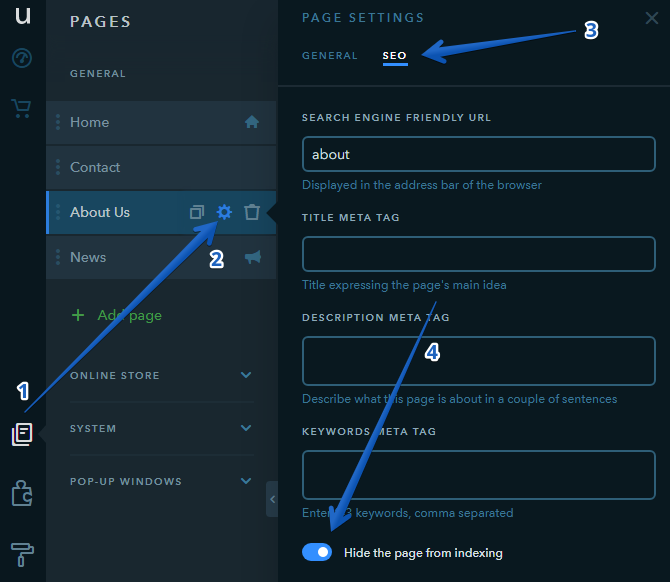 To disallow indexing for a website page, go to the Site Pages tab of the Builder and click on the "gear" icon next to the title of the necessary page. Then click on SEO and toggle Hide the page from indexing in the bottom of the settings window. It’s not possible to hide a website’s home page from indexing by using this tool. A home page can only be hidden if you select to hide the entire website.